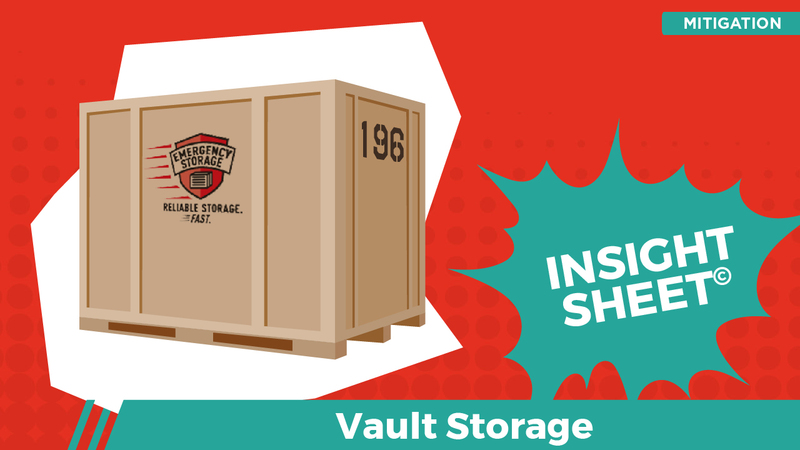 This Insight Sheet© seeks to illustrate best practices associated with invoicing for 6′ x 7′ x 7′ storage vaults stored in a climate controlled warehouse. The contents that were relocated to the warehouse filled 9 vaults and remained in the climate controlled warehouse for 6.5 weeks. 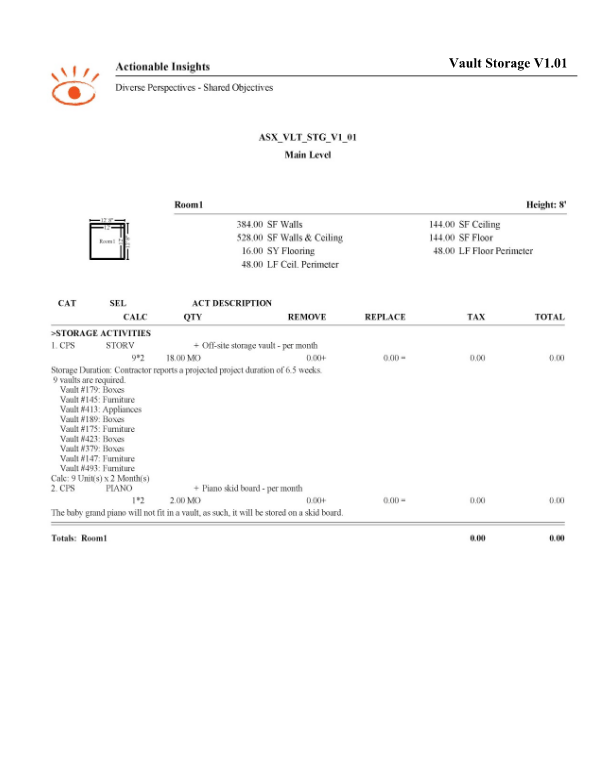 This Insight Sheet exists to clarify how one might invoice for vault storage. This does not seek to include or make concessions for all equipment and/or activities as it relates to a loss of this nature.